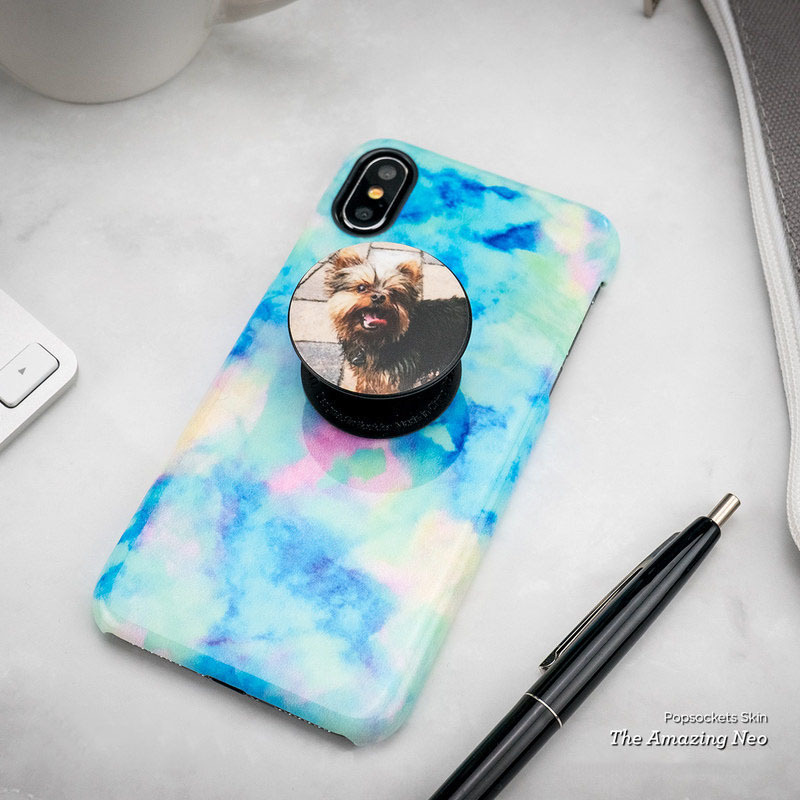 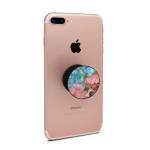 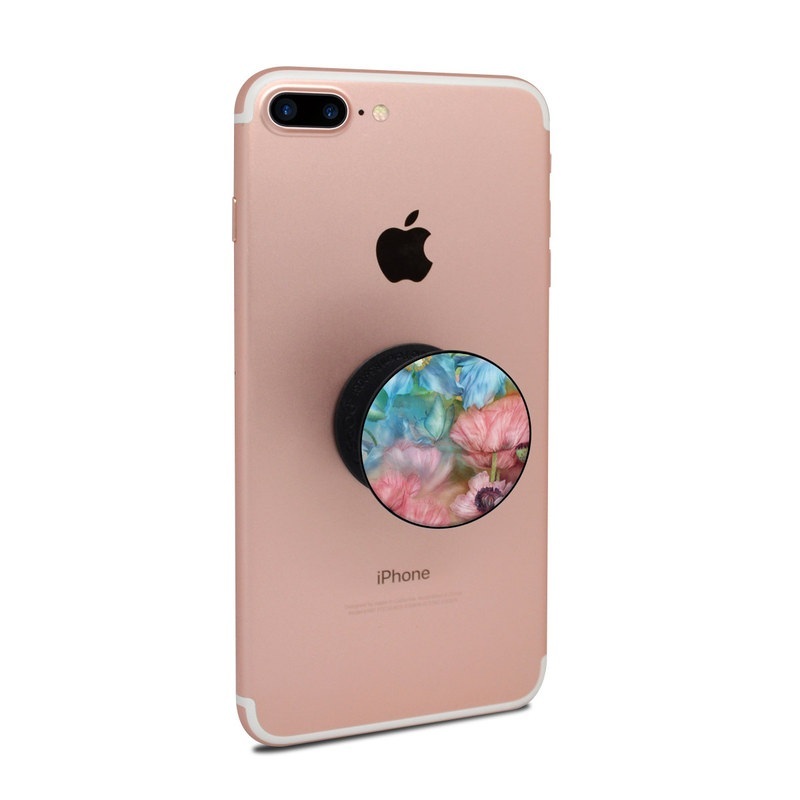 iStyles PopSocket Skin design of Flower, Petal, Watercolor paint, Painting, Plant, Flowering plant, Pink, Botany, Wildflower, Still life with gray, blue, black, red, green colors. 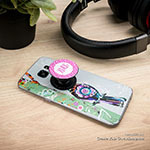 Model PSOC-POPPYGARDEN. 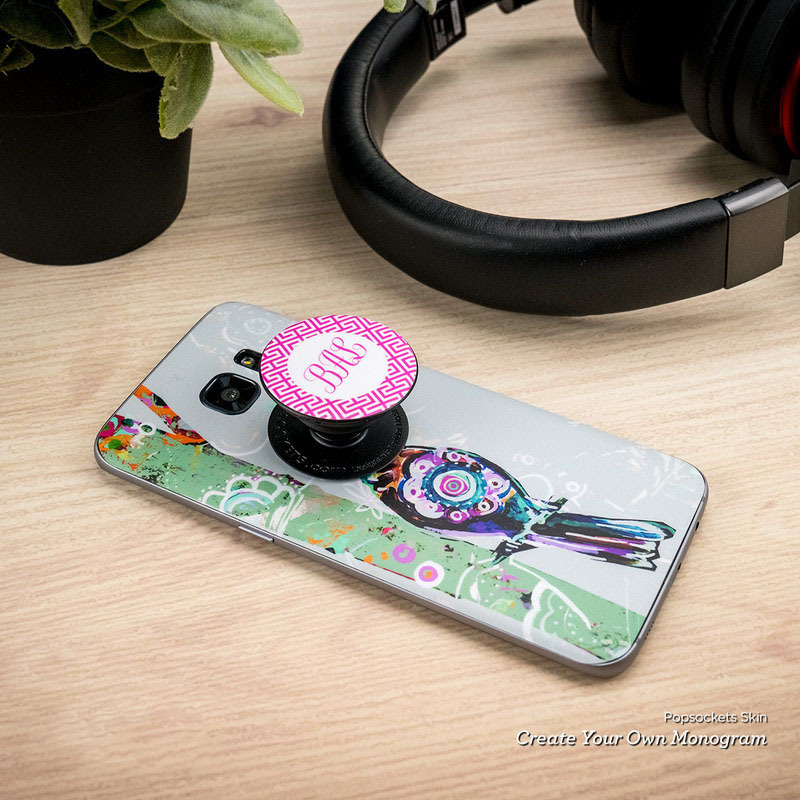 Added Poppy Garden PopSocket Skin to your shopping cart.